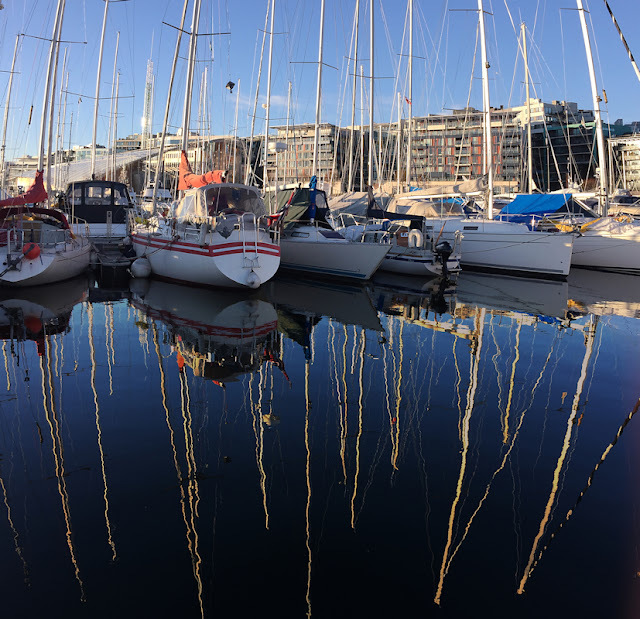 Many sailers have their winter harbour along the small marina at Aker Brygge in Oslo City. It looks cold but we guess they have sufficient with electrical heaters and insulation to have it cosy inside, in spite of the cold outdoor climate down by the sea. At least they have a very central place both to shops an restaurants right here in the center of Oslo. 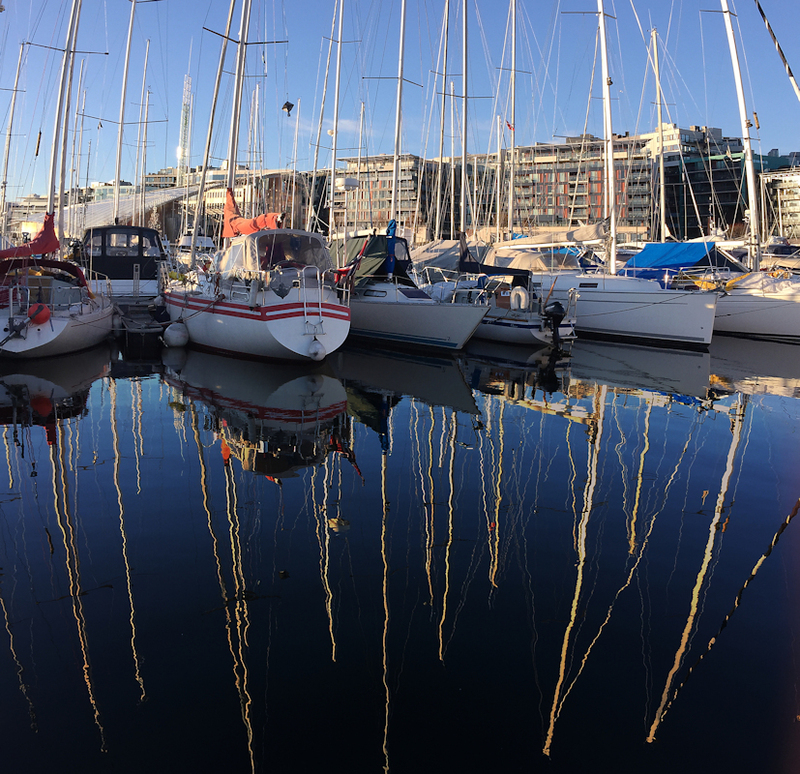 Camera: iphone6+ 2photos vertical stitched PP: Panoramamaker and Paintshop Pro.